House Bill 3393, the Lindsey Nicole Henry Students with Disabilities Scholarships Program, provides scholarships to any public school students who are on IEPs. The students may use the scholarships attend private schools that better meet their specific needs. HB3393 becomes effective August 26. Several parents have asked me which private schools are participating. Private schools that wish to participate in the program must be accredited by the Oklahoma State Department of Education (SDE) and they must notify the SDE of their desire to participate. There is no current list of participating private schools, but there is a list of private schools currently accredited by the SDE. If any of these schools wish to participate, they will simply need to notify the SDE. I urge interested parents to contact private schools to find out if they intend to accept the scholarships. I have included a link to the SDE list of accredited private schools to help parents identify those schools that are now eligible to participate. If a school wishes to participate but is not currently accredited, it will need to achieve accreditation first. 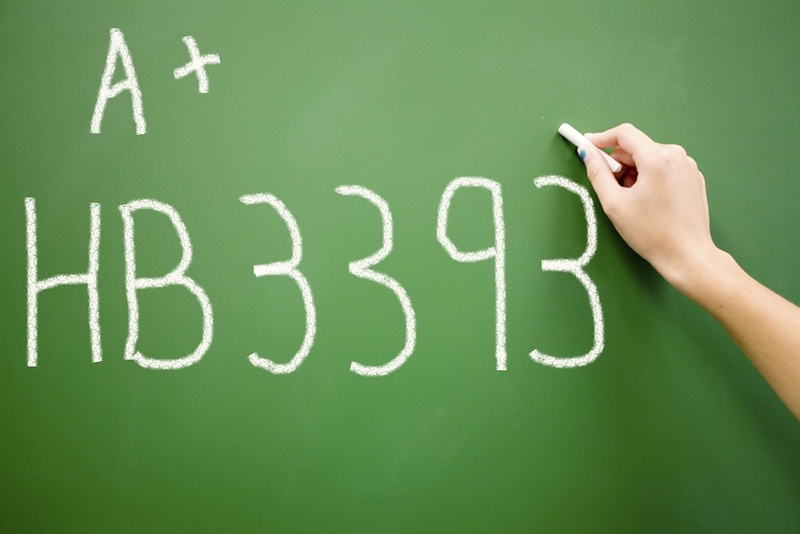 You can also find a more readable version of HB3393 for parents on this blog. I will provide more details as the SDE develops administrative rules to implement the new program. The State Board of Education is tentatively scheduled to take up consideration of proposed administrative rules at their July 27th meeting. 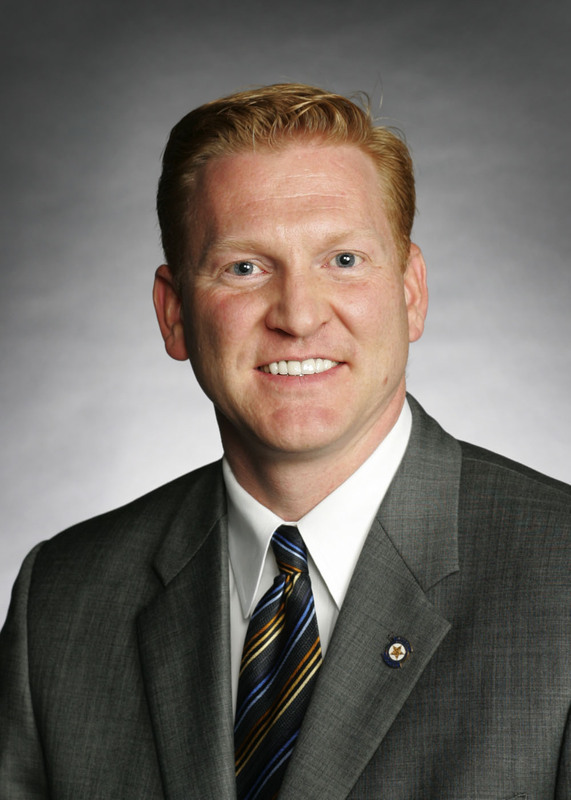 OKLAHOMA CITY (June 24, 2010) – House Speaker Chris Benge today approved 68 interim studies that will be conducted over the summer and fall prior to the next legislative session. The studies cover a wide range of issues, including child welfare services, agency consolidation, math education in Oklahoma schools, tax credits and incentives, and a review of recent government modernization efforts, among other topics. "Interim studies give lawmakers an opportunity to investigate and flesh out potential legislative proposals before drafting bills," said Benge, R-Tulsa. "This year we have a good set of studies covering a diverse array of topics." Overall, 76 study requests were approved, although eight were combined with either similar or duplicate proposals, bringing down the total number of actual studies to 68. A study on the Lindsey Nicole Henry Scholarships Program created by House Bill 3393 was among those approved. Rep. Jason Nelson, R-Oklahoma City, requested the study to monitor the implementation of the new special education school choice law. "During session I told opponents and supporters of HB3393 that I would request an interim study to monitor the implementation of the new law so that any unforeseen issues that come up can be reviewed and addressed during the next session," said Nelson. "The study will give us the opportunity to hear from public and private schools, parents and students as well the State Department of Education about the level of interest and participation in the program and to discover any challenges that need to be addressed by the next legislature." Due to the budget situation, the number of days committees can conduct interim studies was limited to reduce costs. "In light of the budget situation, we felt it was important to strike a balance between reducing expenses and allowing for legitimate examination of issues," Benge said. Click http://www.okhouse.gov/Committees/ShowInterimStudies.aspx to see the list of interim studies. Washington, D.C. (June 25, 2010) - Louisiana Governor Bobby Jindal this week signed into law the nation's 20th private school choice program, which will allow children with special needs to use state-funded scholarships to attend the private schools of their parents' choice. Hailed by school choice activists as a significant, bipartisan victory for children with special needs in Louisiana, the legislation enacts a two-year pilot program benefiting children in the state’s parishes with populations of 190,000 people or more. Accordingly, children in Caddo, East Baton Rouge, Jefferson, Lafayette, Orleans, and St. Tammany parishes will be eligible to participate. The scholarships are worth up to half the cost of what the state pays to send participating children to public schools. The new law will assist children in Kindergarten through eighth grade who have autism, developmental delay or other specific learning disorders. The bipartisan piece of legislation was authored by Representative Franklin Foil (R-Baton Rouge) and cosponsored by Representative Major Thibaut Jr. (D-New Roads), Representative Patrick Williams (D- Shreveport), Senator Conrad Appel (R-Metairie), Senator Ann Duplessis (D-New Orleans), Senator Eric LaFleur (D-Ville Platte), and Senator Gerald Long (R-Winnfield). The School Choice Pilot Program for Certain Students with Exceptionalities Act will place Louisiana in the ranks of six other states (Arizona, Georgia, Florida, Ohio, Utah, and Oklahoma) that have enacted school choice programs designed for children with special needs. Across the country there are approximately 24,555 students enrolled in these programs and nearly 200,000 students participating in private school choice programs in general. 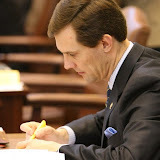 OKLAHOMA CITY (June 10, 2010) – Legislation that would require greater transparency when state agencies hire private attorneys will not become law this year, state Rep. Mark McCullough said today. "This effort did not receive a final vote this year, which is unfortunate, because I believe the public should know when and how their tax money is used by state agencies to hire private attorneys," said state Rep. Mark McCullough, R-Sapulpa. "I believe our current process is lacking and does not encourage an arms-length transaction between agencies and the firms they hire, which is why I will continue this fight in the 2011 session." Senate Bill 1379, by McCullough and state Sen. Anthony Sykes, creates the Private Attorney Retention Sunshine Act and would require state agencies hiring private attorneys to use a competitive, public process anytime the contracts are greater than $5,000. "I supported this bill in committee and on the floor and will do so again next session until this common sense effort becomes law," said state Rep. Jason Nelson, R-Oklahoma City. "Currently there is too much opportunity for abuse and this legislation would open the process to much needed scrutiny." Supporters praised Gov. Brad Henry today for signing a bill providing scholarships to special needs students. The legislation has been named the Lindsey Nicole Henry Scholarships for Students with Disabilities Program Act to honor the memory of the governor’s daughter, who died of a rare neuromuscular disease as an infant. Lindsey Nicole was the twin of the Henrys’ oldest daughter, Leah. Lindsey died at seven months of age due to complications from a rare genetic disorder. Rep. Jason Nelson, R-Oklahoma City, earned a 94% on a legislative index created by Oklahomans for Responsible Government. After a long session, OFRG has chosen legislation to be included in the Legislative Index and Scorecard for Taxpayers (LIST) which grades lawmakers based on how they voted on issues important to taxpayers. OFRG recently posted the results of its first Scorecard for Taxpayers on its website: www.ofrg.org. OFRG identified 21 measures that would have an impact on the average taxpayer and scored lawmakers on whether they voted for the good bills and against the bad ones. In the House, the average score was 83.1%. There were 17 bills making up the LIST in the House with 15 requiring a Yes vote and two requiring a No vote. OKLAHOMA CITY (May 28, 2010) — A bill that would remove volatility of state gross production tax collections and help stabilize state budgeting over the long-term passed the House today. House Bill 3032, by House Speaker Chris Benge, creates a state energy stabilization fund that aims to reduce the impact energy price volatility has on state revenue collections. The legislation creates an automatic collection of any gross production taxes above a simple three-year average for deposit into the fund. In years when gross production taxes collected fall below the three-year average, the fund will automatically deposit the difference into the state’s general revenue fund to help mitigate budget shortfalls. The fund will become active in 2015. "This bill will allow us to capture gross production revenues in high collection years for use in reduced collection years," said Benge, R-Tulsa. "The budget impact of continued energy price volatility would be negated by this fund, which would take out the uncertainty in our budget planning as it relates to gross production revenues." The bill passed the House and the Senate today and will now go to the governor for final review. We need as many people as possible to place a call to (405) 521-2342 and ask Governor Henry to please sign HB3393, the Lindsey Nicole Henry Students with Disabilities Scholarships Program Act. HB3393 is on the governor’s desk and must be signed by June 12th. Governor Henry has said he will sign the bill but he is still under immense pressure to veto this important legislation. It is very important that he hear from as many supporters as possible encouraging him to sign the bill into law. Please have your family and friends make the call to his office today or tomorrow. Please feel free to post this on your social networks.